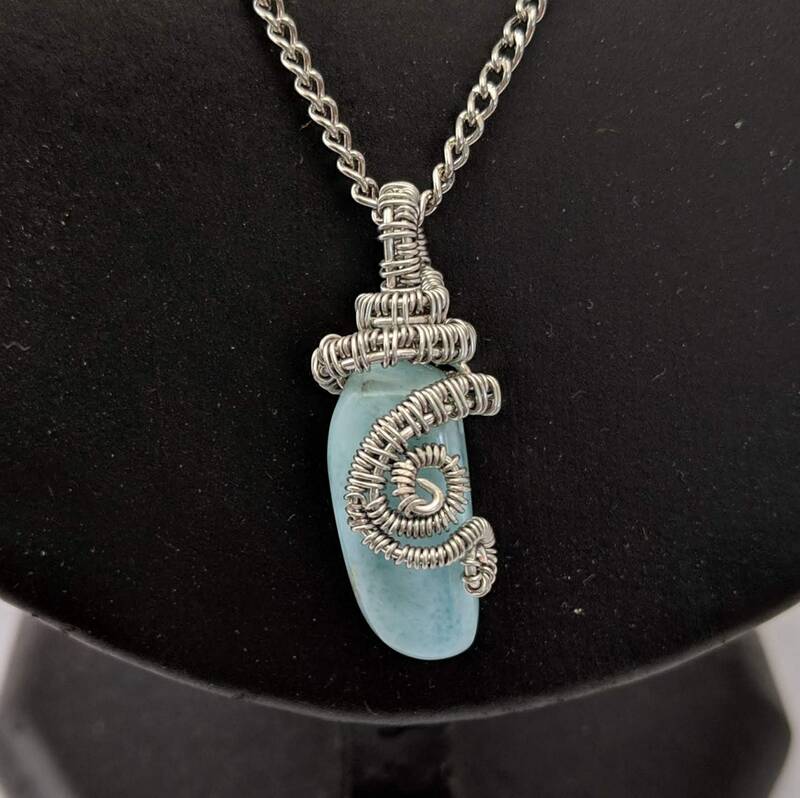 This unique wire wrapped pendant is made of Larimar, a rare semi-precious stone protected by a dense rainforest! 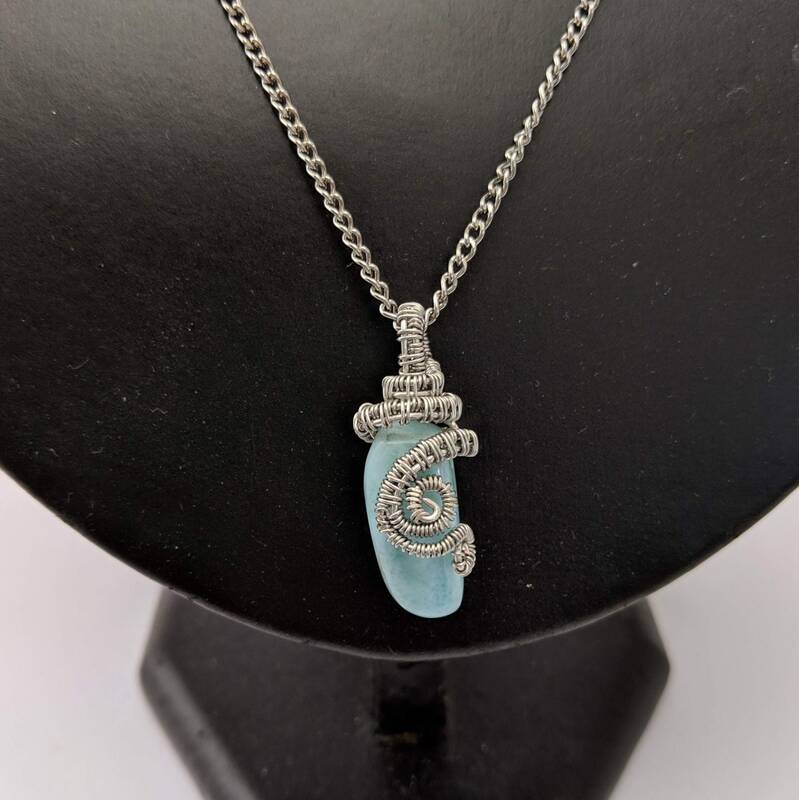 The only source of Larimar is a remote mountainous region of the Dominican Republic on the island of Hispaniola in the Caribbean. 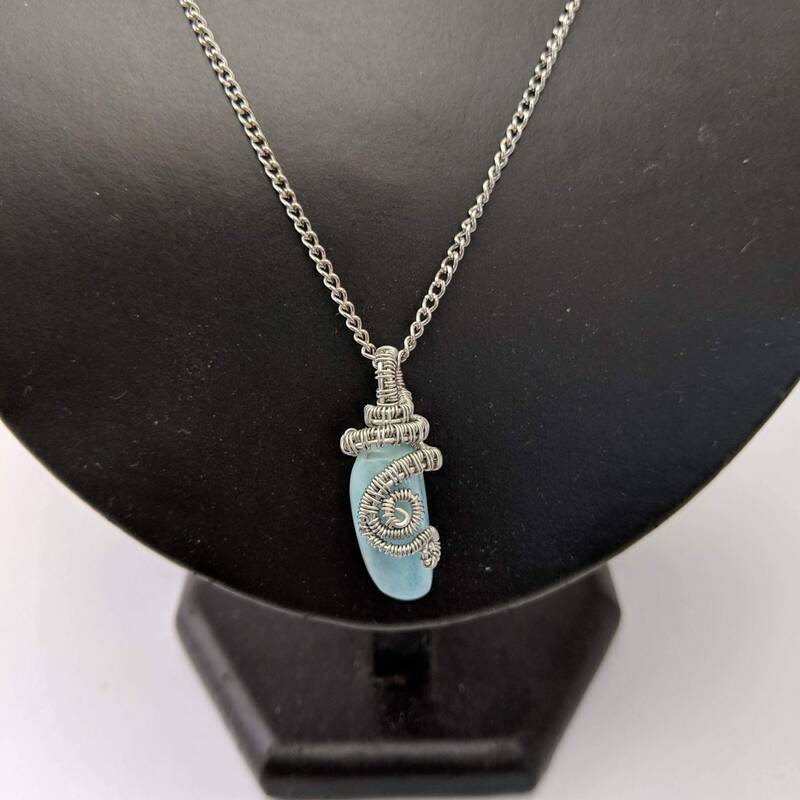 Our pendant is enhanced with Sacred Spirals and measures approx. 1/2" wide and in 1 3/8" in length including the wirewrapping and bail. It hangs from an 18" silver-plated chain necklace. One of a kind! 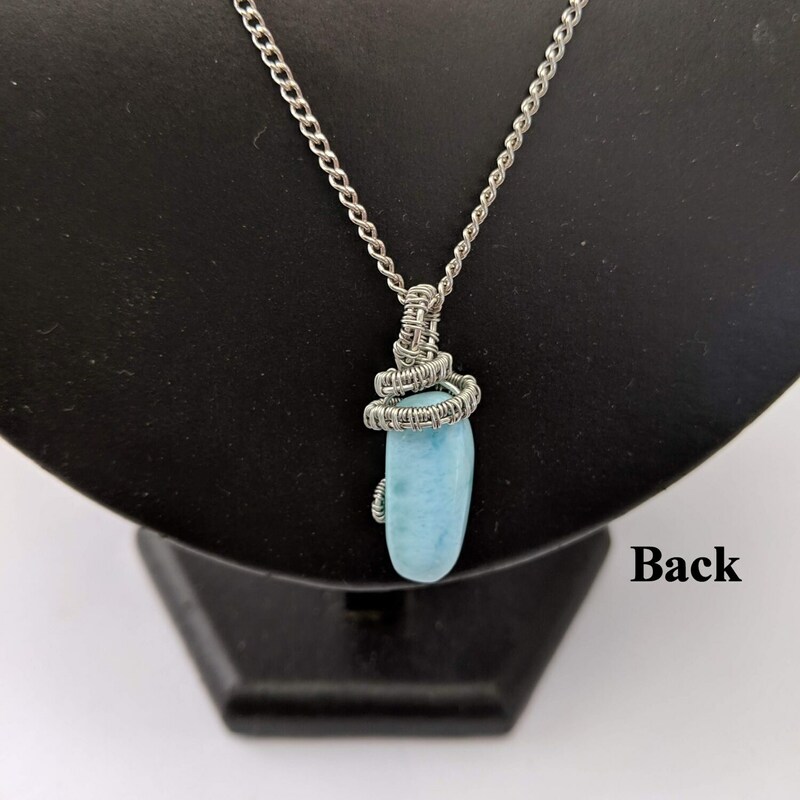 We have 5 larimar pendants with each one a different shape and its own original wire wrapped design. We ship via USPS Priority Mail - Insured so you will receive your order in 2-3 days once the package is posted, plus you can track it on-line. 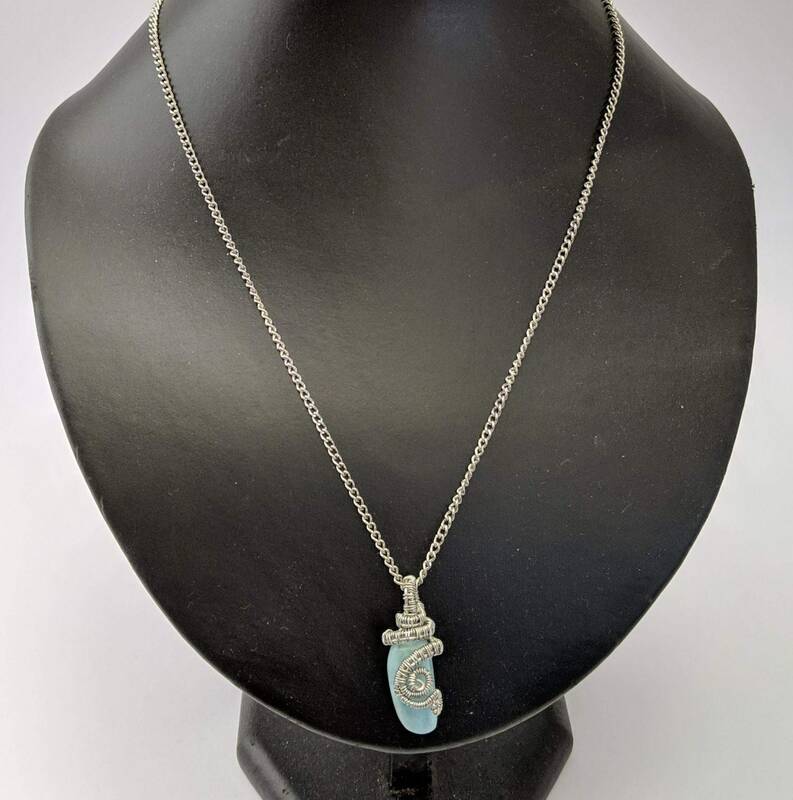 LARIMAR - Larimar is said to enlighten and heal in a physical, emotional, mental and spiritual way. It stimulates the heart, throat, third eye and crown chakras, facilitating inner wisdom and outer manifestation. It represents peace and clarity, radiating healing and love energy.